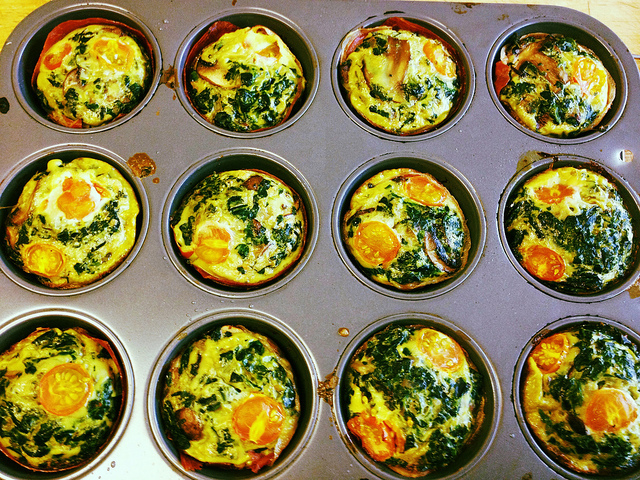 We’ve all been enjoying the egg bake cups so much that I got to work making up some variations. These can easily be converted to a Paleo breakfast by eliminating the cheese. If you’re doing low carb and want to reduce the carbs a bit you can add 1/4 to the vegetable side and subtract 1/4 from the onion side. You can use plain ol’ feta or you could use one of the varieties that have sun-dried tomatoes or other add-ins. Heat a small pan over medium high heat. When hot swirl some cooking oil into the pan. Add the onions to the pan and saute until soft, seven to eight minutes. Mix spinach into onions. Divide vegetables among muffin cups, topping with feta cheese and then egg base either evenly divided among the cups or filled to 3/4 of the cup. Bake at 350 degrees F for 20 minutes or until egg is puffed and golden. Remove from pan and serve or cool, pack in an airtight container and refrigerate for up to 3 days, or freeze for up to one month. Heat a small pan over medium high heat. When hot swirl some cooking oil into the pan. Add the onions to the pan and saute until translucent, about five minutes. Add asparagus and saute until al dente. Divide vegetables among muffin cups, topping with shredded cheese and then egg base either evenly divided among the cups or filled to 3/4 of the cup. Bake at 350 degrees F for 20 minutes or until egg is puffed and golden. Heat a small pan over medium high heat. When hot add bacon and cook until crispy. Remove from pan with a slotted spoon. Add the onions to the pan and saute until translucent, about five minutes. Add tomatoes and saute until most of the moisture from the tomatoes is cooked off. Divide vegetables among muffin cups, topping with bacon and shredded cheese. Either evenly divided egg base among the cups or fill to 3/4 of the cup. Bake at 350 degrees F for 20 minutes or until egg is puffed and golden. Juicy tomatoes ready to become tomaisins. When I’m running errands I don’t like to stop for lunch. I prefer to pack up a baggie or two with veggies and/or fruit. Recently I’ve been running a lot of errands and getting tired of carrot and celery sticks so I thought I’d try making up a few low cal snacks that I can toss in my bag and eat just as easily as my unimaginative veggie sticks. First up are these dried tomatoes. Super easy. 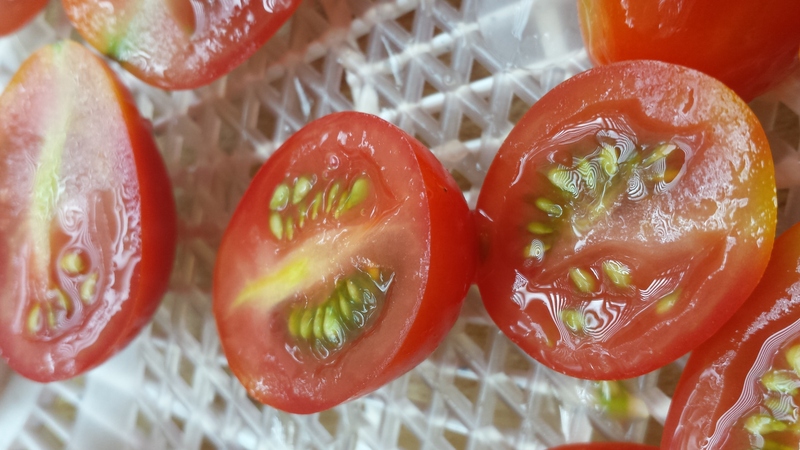 I cut organic grape tomatoes in half, sprinkled with salt and placed on a dehydrator tray. 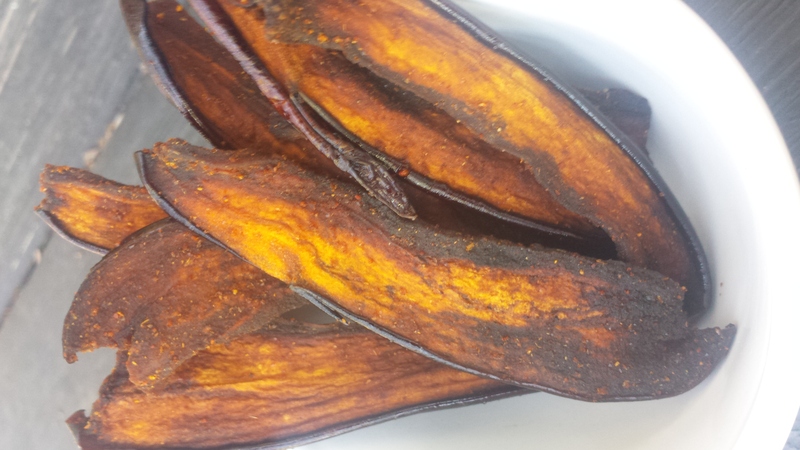 I dried them at 115 degrees so I could keep these raw but you can dry them at any temp that you like. In fact I started drying these later in the day and before I went to sleep I turned the dehydrator down as low as it would go so they could keep drying but not get over-dried while I slept. The next morning I turned the dehyrdrator back up to 115 and a few hours later my tomatoes were now tomaisins. Note: I like to take half the tomatoes out when they’re at the chewy stage and then keep dehydrating the rest until they’re chewy crisp. Do you all love popcorn as much as I do? Lately I’ve been trying to move away from microwave popcorn. I started by switching to organic microwave popcorn which actually tastes WAY better than popcorn of the Orville Redenbacher variety, however it does still use palm oil and butter flavoring. I tried several types of popcorn that didn’t have the bad stuff added to it and didn’t really like the taste. So the next stop on the popcorn train is to make it from scratch so I can use the kind of oil I want and then add different seasonings to make it fun. This Buffalo Ranch version is the first one in a series that I’ll be posting. I love that this one has tons of flavor and isn’t loaded with butter. If you want to really make the butter stand out, brown it before adding the buffalo wing sauce. 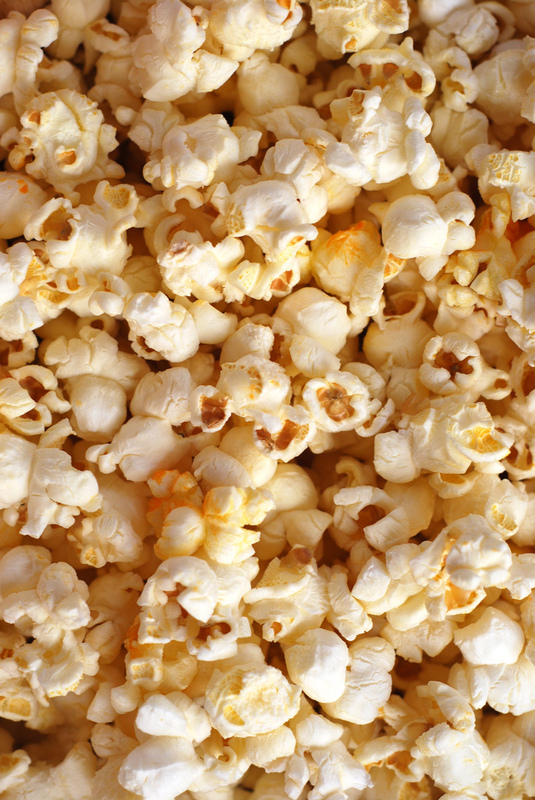 Place popcorn in a large bowl or paper bag. In a small bowl mix butter and buffalo wing sauce. Drizzle this mixture over the popcorn and toss to evenly distribute. Sprinkle ranch seasoning and sea salt over popcorn and toss again. Now settle in with a good movie or if you’re in my house take it out to the bonfire in the back yard. I love kale. I don’t know what it is but give me my choice of greens and I’ll choose kale every time. 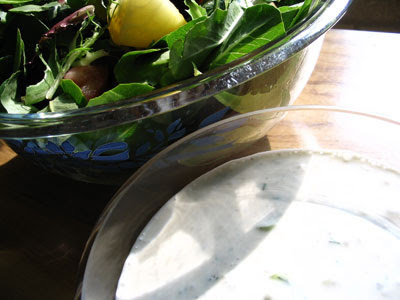 Even so, sometimes I get tired of my go-to recipe of Garlic Kale and start playing around until I come up with a new way to serve this nutritious leafy green. This recipe serves 4 as a side dish. Add ham, bacon, or chicken and it’s a meal for 2. My apologies to any vegetarians or vegans reading this recipe, please know that in the interest of helping families to accommodate the varied tastes of it’s members I like to include variations of many of my recipes that may include meat or dairy. If you’re not adding meat to this dish, you can make it a meal by serving it with a pot roast, steak, chicken, fish or for my vegetarian and vegan readers I love a really good whole grain bread, toasted and brushed with olive oil and a bit of balsamic vinegar. Heat 2 tablespoons of olive oil in a large skillet. Add the onions, salt, pepper, chile and cook, stirring occasionally for 10 minutes. Add the kale and garlic and cook for another 10 minutes, stirring occasionally. Stir in the Parmesan. Taste and add salt, pepper, and olive oil if needed. Stir 1/2 cup bread crumbs in with the Parmesan. 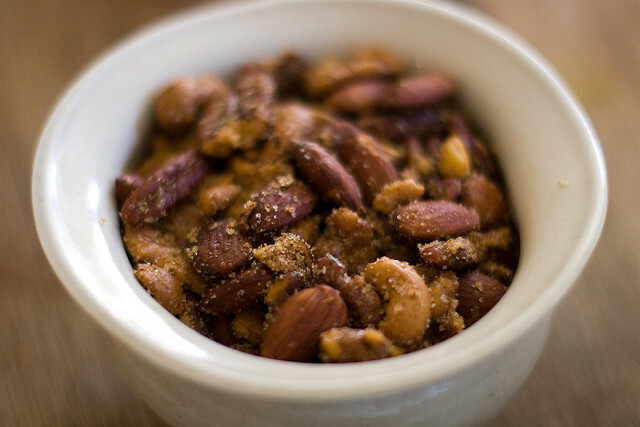 Add 1/2 cup toasted, chopped almonds, cashews, pecans, or peanuts with the Parmesan. Add 1 to 2 cups chopped cooked chicken, ham, or bacon at the end. 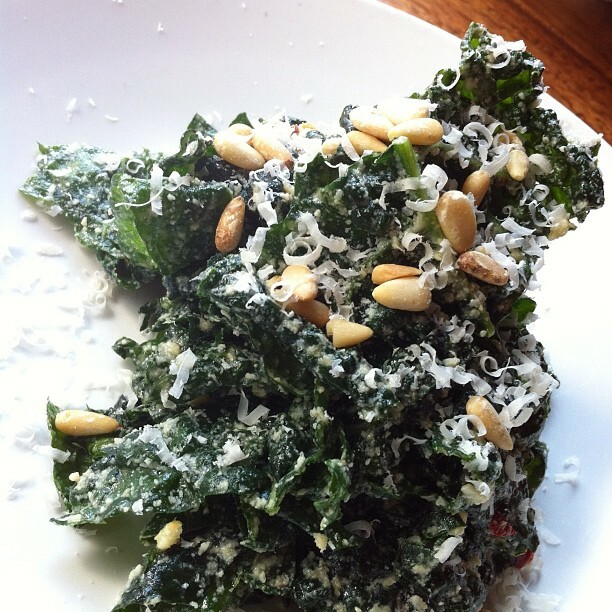 Use 3 five-ounce bags of prewashed, deveined kale in place of the 2 bunches of kale. 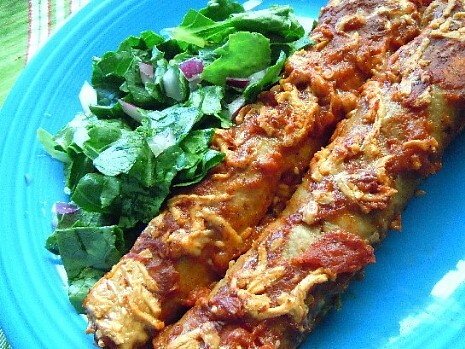 Not all UnDieters are following Paleo or Low Carb so I wanted to give you all one of my favorite burrito recipes. 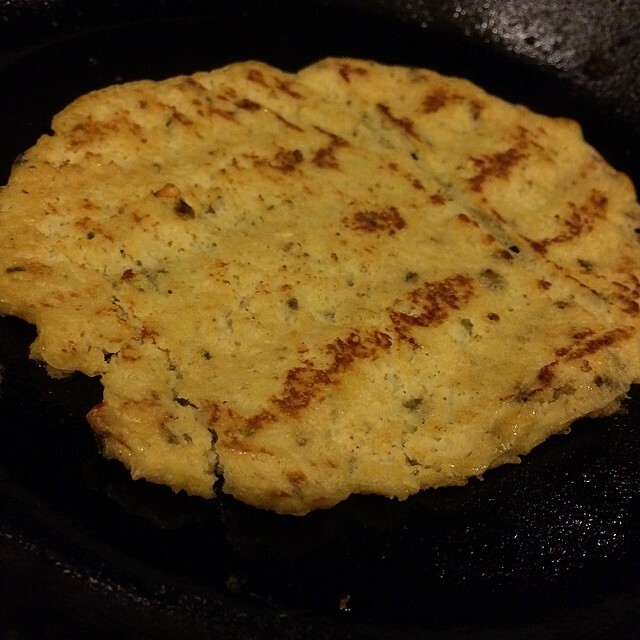 Vegans can forgo the cheese and this will still be a delicious recipe. As with most of my recipes there are many variations which I’ll share with you at the end after the basic recipe. Rinse quinoa well. Drain and place in a saucepan with 2 cups of water, paprika, vegetables and salt. Bring to a boil. Reduce heat to low, cover and simmer until tender and most of the liquid has been absorbed, 15 to 20 minutes. Stir in beans and 1 cup salsa. 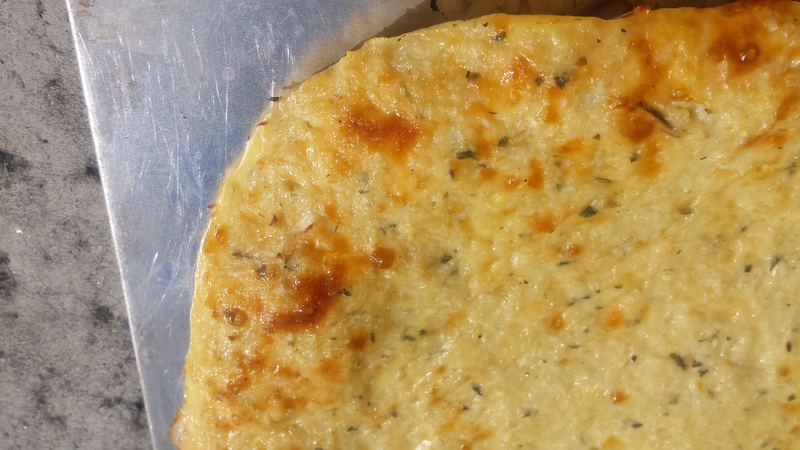 Place one tortilla in an oiled baking dish. Fill with 1 cup of the quinoa mixture. Fold over. Continue filling and folding tortillas until all 8 tortillas are filled. Top with 1 cup of salsa and the cheese. Bake for 12 to 15 minutes until hot and bubbling. Use soy cheese in place of the cheese or just eliminate the cheese altogether. Change up the paprika with taco seasoning or fajita seasoning. Add 1 tablespoon minced garlic to the quinoa while boiling it. For really cheesy burritos add 1 cup cheese to the quinoa mixture before rolling it up in the tortillas. You’ll have extra filling left over which you can set aside for another meal or just use a couple extra tortillas.